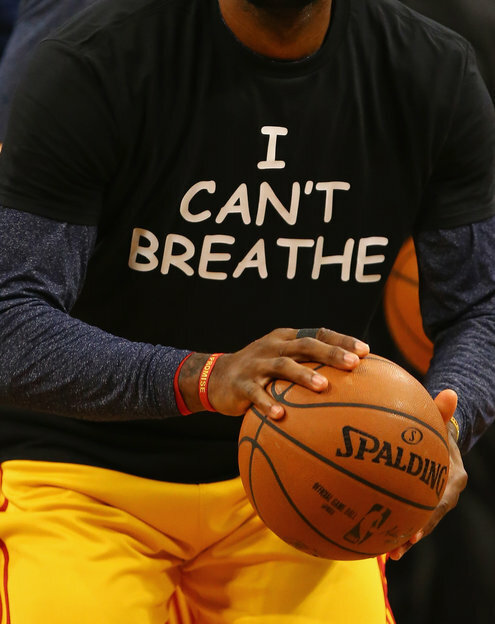 Worn by The King & selling on the web for $14.95 upwards! 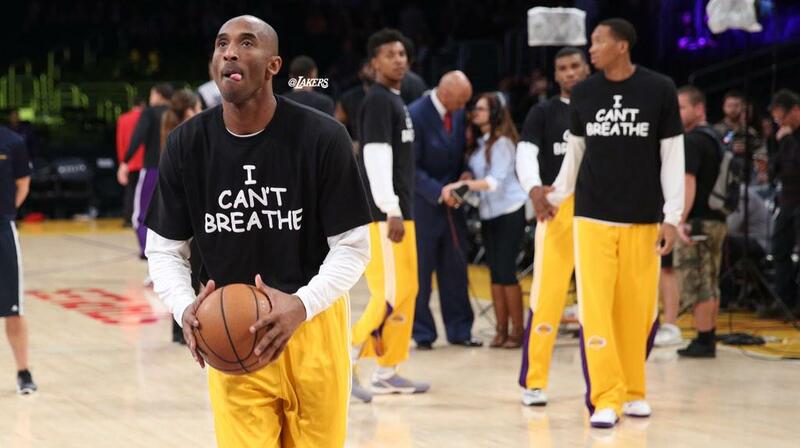 Kobe and Lakers defeated Kings although they would most likely have defeated them, anyway – with or without The Tees. [My opinion! 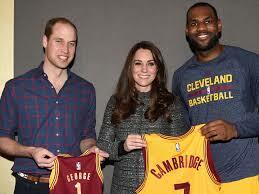 Before going on to don the iconic tee, LeBron presents the Duke & Duchess of Cambridge with personalized Nets tees for them and their little boy. 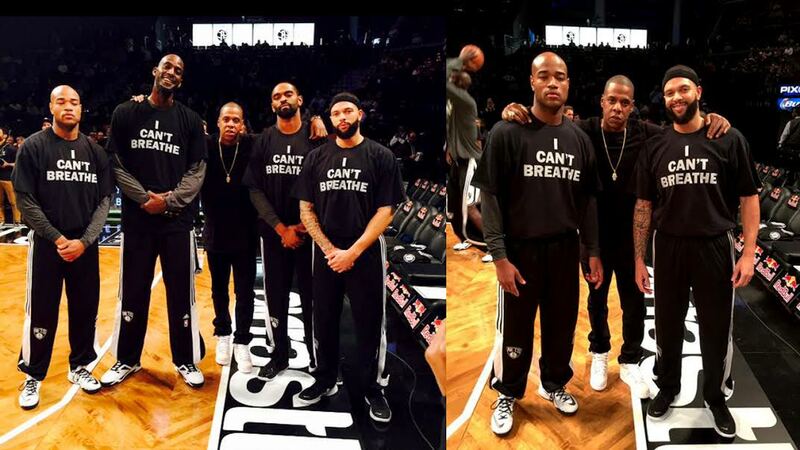 Could/should Jay-Z have donned the “I can’t breathe” tee? I’m not much a fan of Jay-Z and Beyonce but I’m a fan of someone’s ways that do not necessarily get acted out in public but which get positive results. The guy was hosting the Cambridges at a game on his team’s home court, speculations about whether the royals would be there or not had filled the news for days in America. 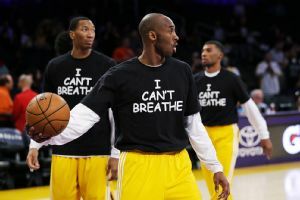 He got aboard the story of the Tee without being pressured, and ensured that they got to the game and were distributed to the boys. Sure, it would have been big to many but would have been inappropriate before he met the Duke and his wife. As it went last night, it was very properly handled without making Jay-Z’s guests feel uncomfortable. And please note that I am definitely no fan of the Cambridges, either – nor of “divine” royalty. The couple cannot be faulted for doing all they can to be accepted by an American public that seems insatiable with British royalty even though it fought a war way back when – really – to be free of the same British crown. 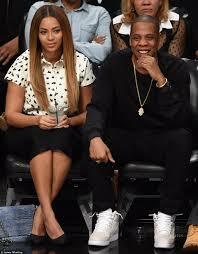 Jay-Z could have donned it over the shirt he later met the royals in, and then taken it off after the photos! REALLY? 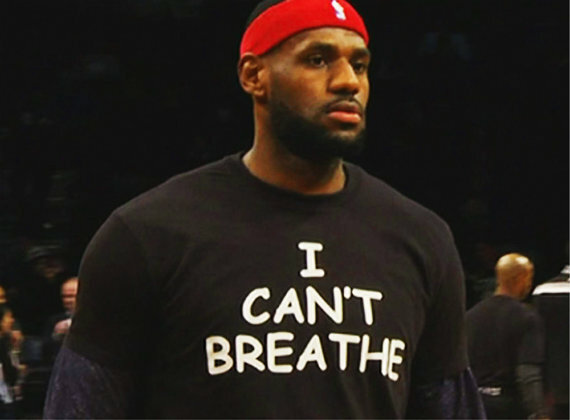 No, I do not agree, nor do I see much to the huge buzz on the web about his not doing “the right thing”. I came out of my vacation to put on record my living to see this new approach to pushing civil rights issue that counts as still one more step on the road to full emancipation for African-Americans that must include full acceptance as equal participating members in American life; it has taken America by storm. And back there – or to the idea of a ‘vacation’ – I must return!